Because the truth is we haven’t remembered. Not enough of us, anyway. To put a twist on a Churchill quote, “Never has so much been owed by so many to so many.” Be it because World War I is too distant a part of our past or because the horror was too great or simply because it was overshadowed by its follow-up twenty years later, the so-called “War to end all wars” doesn’t get nearly the attention it deserves. That’s changed as we’ve reached the war’s 100-year anniversary, manifesting (in games at least) with both Valiant Hearts and Verdun taking on the horrors of World War I in their own way. And I’ll freely admit: I didn’t think Battlefield 1 ($60 on Origin) was up to the task. It’s no slight against Battlefield, per se. 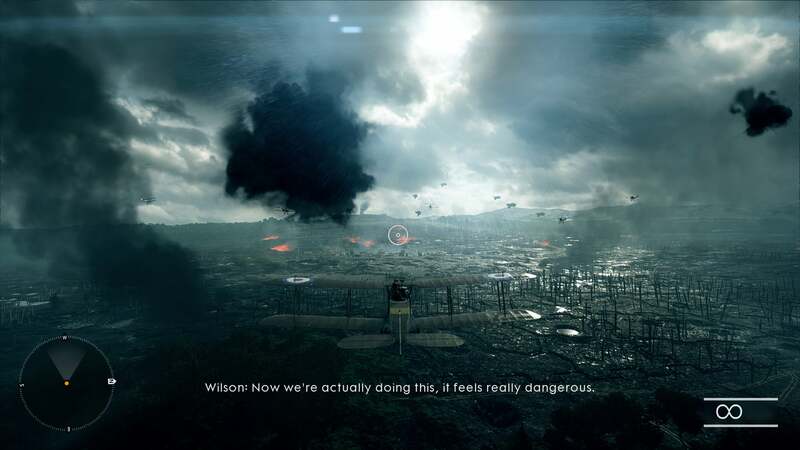 DICE’s singleplayer campaigns merely haven’t been engaging in the past—the Bad Company games were about as decent as they came, with Battlefield 3 and 4 nakedly chasing Call of Duty’s success and devolving into generic mish-mash in the process. 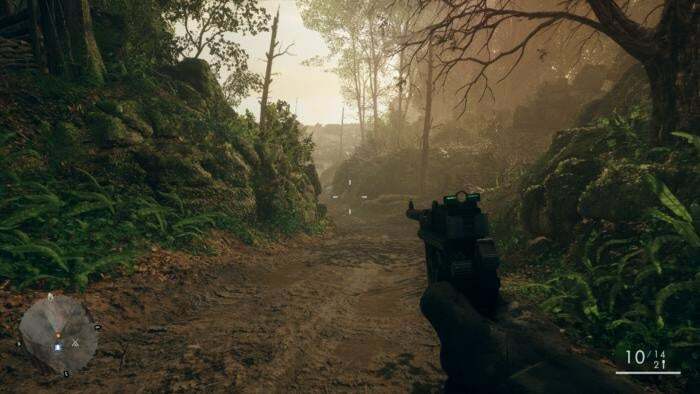 But surprise of all surprises, the Battlefield 1 campaign is both engaging and poignant, smacking of Call of Duty 2 or the original Medal of Honor titles. 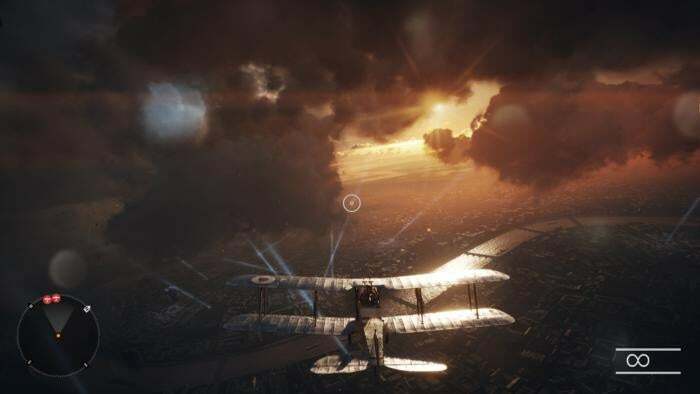 Rather than try to tell one monolithic story encompassing the whole of the war, Battlefield 1 is instead broken up into six mini-campaigns, dubbed “War Stories,” spanning from 1915 to just before the war’s end in 1918. This anthology format gives Battlefield 1 the flexibility to experiment—with different characters and battles, yes, but also different tones, different themes, and even different mechanics. One tells, for instance, an (intentionally) over-the-top story about a fast-talking American pilot flying in the British Royal Air Force. As you might imagine, this section is mostly focused on dog fighting, plus a protracted behind-enemy-lines scenario. Another has you playing as a young British tank driver, focusing on both the strengths of early tanks (they scared the hell out of enemies) and their pitfalls (they were a death trap and prone to breaking down). This story is one of the longest, fluctuating between roaring tank missions and quiet stealth missions. And then there’s Zara and the battles of the Sinai Peninsula, under the conduct of T.E. Lawrence—the famed Lawrence of Arabia. These missions diverge even more from the Battlefield formula, focusing mostly on stealth and guerrilla tactics in what ends up feeling like a weird parallel to Metal Gear Solid V.
Those three are rounded out by a brief (but powerful) intro mission starring the Harlem Hellfighters, an action-packed blitz through the Italian countryside, and a strong set of missions concerning the Australians at Gallipoli. All six vignettes are great, in their own way. These aren’t tales of heroes saving the world, as with most of our modern crop of shooters. Instead, Battlefield 1 tells proper World War I stories: That of ordinary people put through the most extraordinary of circumstances. Despite its Hollywood presentation, we’re closer to Johnny Got His Gun and A Farewell to Arms thematically. And with such rapid pacing, you end up not really noticing the weaknesses that dragged down previous Battlefield campaigns—an over-reliance on archetypal characters, some hackneyed emotional moments. What could sink a six-hour campaign is here given a sketch-like quality, six tone-pieces about World War I that manage to feel concrete and respectful while still carrying a broad everyman quality about them. There are some conspicuous absences, of course. Trench warfare might be boring, but it’s an important piece of the World War I story and is barely touched upon in Battlefield 1. Ditto, some of the most famous battles in France—I’m surprised neither Verdun nor the Somme make an appearance. The horror of gas attacks are also weirdly underutilized. Perhaps most disappointing is the fact that all six campaigns take place from the viewpoint of the Allied Powers. This isn’t World War II. There is no clear “Good” or “Evil” side of this war, no terrible dealings that might make it uncomfortable for us to play as the Germans, the Ottomans, or the Austro-Hungarians and see the war from the stance of the Central Powers. I think it’s a failing of Battlefield 1 that it implies otherwise through omission. 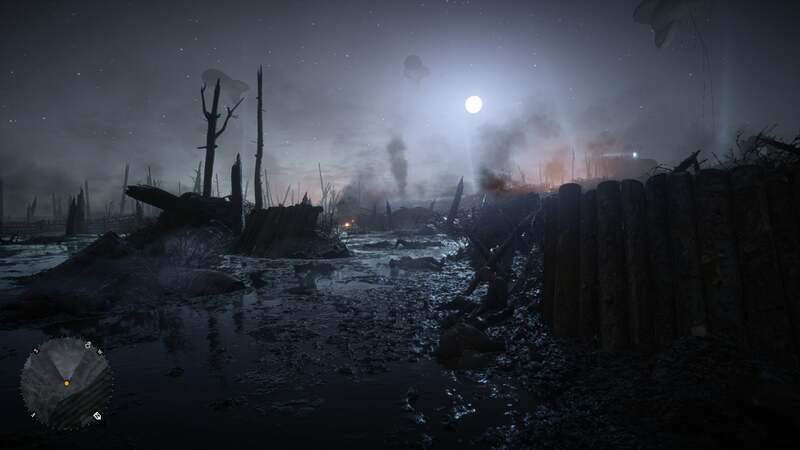 But of course, for many people Battlefield 1 is primarily a multiplayer-centric experience. In stark contrast to its campaign, Battlefield 1’s multiplayer is loud and brash and pulse-pounding. And not very concerned with historical accuracy. I like Verdun. It’s an excellent, slow-paced and history-centric World War I multiplayer game and I’m glad it exists, particularly because it attempts to simulate trench warfare within the confines of a player-versus-player match. There’s none of that in Battlefield 1, but nevertheless I’m loving it. Biplanes dive and weave over pockmarked countryside, rifles pop off in every direction, gas grenades pump deadly green vapor into a concrete bunker. A zeppelin shows up, and your compatriot starts firing at it with a damn cannon. Sure, it’s little more than your standard Battlefield multiplayer skinned with World War I accoutrements, but that’s fine with me. I like the chunky, mechanical feel of weapons in this era, and the surreal straddling-two-eras feel of horses and tanks rumbling into battle together. Best of all, DICE has pegged demolition closer to the glory days of Bad Company 2. The classic point-capture Conquest mode is most suited to seeing this in action, with quiet villages reduced to rubble by the end of a 20-30 minute match. There’s nothing more exhilarating than blowing the walls right off someone’s sniper perch. 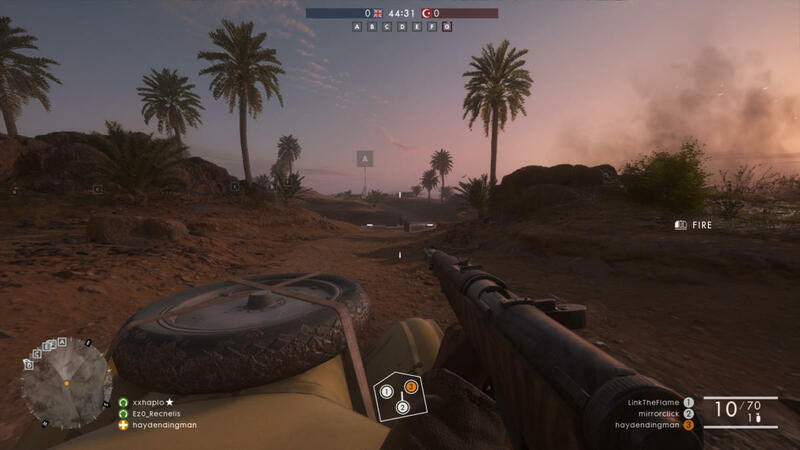 Classes have been changed to Assault, Medic, Support, and Scout which are all pretty self-explanatory, though the Medic’s lack of useful anti-vehicle options is dismaying. Vehicles in general still seem a bit overpowered, though less so than in the beta. Elite classes—particularly the one with the flamethrower—are perhaps even more unbalanced at the moment, though it’s due in part to the fact nobody knows to focus their attention on the soldier who can fill an entire room with firey death. 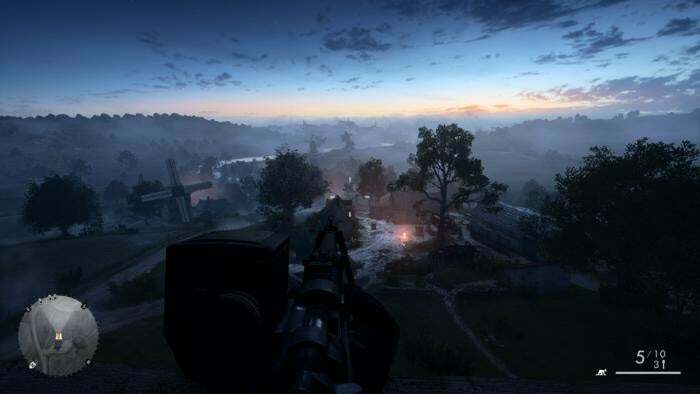 My core issues with Battlefield multiplayer remain the same as ever: Too many people playing as snipers, too many wide-open spaces, and too much aimless sprinting if you don’t spawn near a vehicle or an active battle. 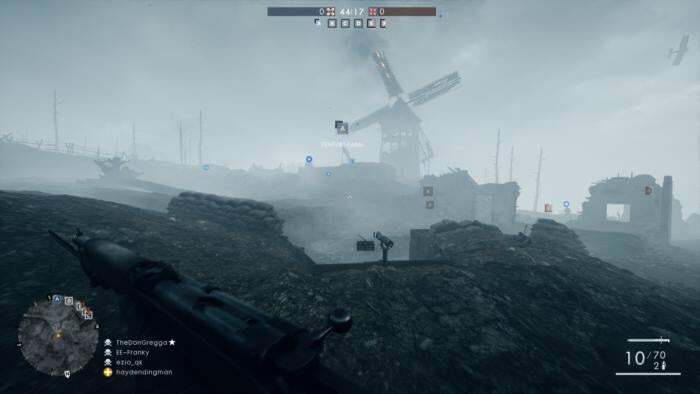 Map design in Battlefield 1 hasn’t done a ton to address this, though sporadic trenches do help a bit, as do maps where fog shows up and shrouds everyone more than twenty feet away. I like it. It’s Battlefield, for better and for worse. I still think Battlefield’s multiplayer is more suitable for a World War II setting—the pace makes more sense. But as an era-specific adaptation of the standard Battlefield formula? Yeah, this works. I just keep coming back to that same quote, though. “If history only remembers one in a thousand of us, then the future will be filled with stories of who we were and what we did.” For all that I’m enjoying Battlefield 1’s raucous multiplayer, its quieter moments are what will stick with me and I would gladly take a half-dozen more vignettes from DICE to fill out more of the war, both the Allied and Central Powers. Those stories deserve telling, and DICE has done one hell of a job so far.